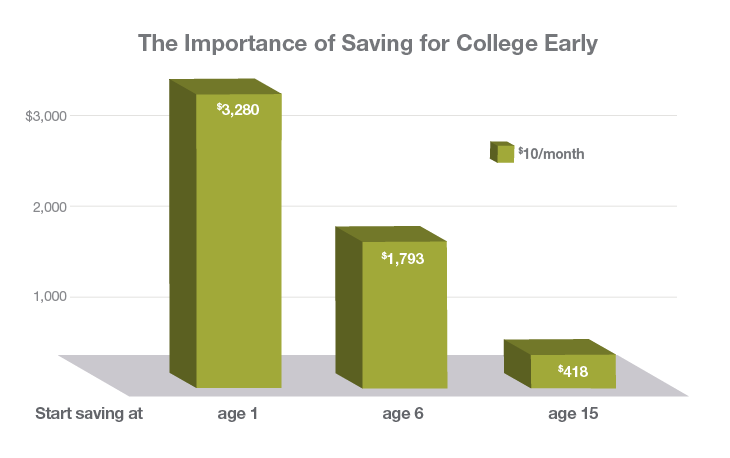 Little by little, you can save for college. Balancing today’s bills with tomorrow’s tuition isn’t easy. Often, the hardest part of saving for college is knowing where to start. The earlier you save, the more time your money has to potentially grow. This is the power of compounding—when your returns earn more returns and so on.